November RIF of NOVA News! 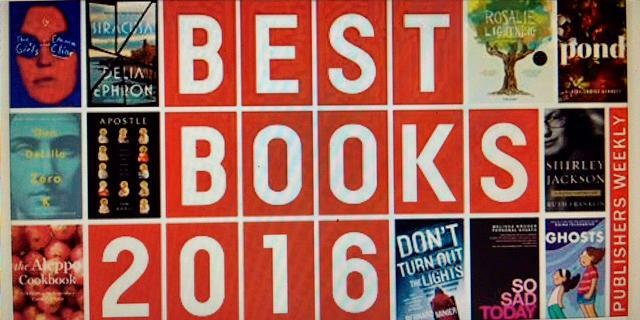 ...among them: The Publishers Weekly picks for the best books for 2016! Publishers Weekly reviewed more than 2,000 children’s and young adult books published in 2016. Here are its choices for the top 50 books of the year—a mix of picture books, fiction, nonfiction, and comics from newcomers and established talents alike. Some ideas from three age categories are described below. 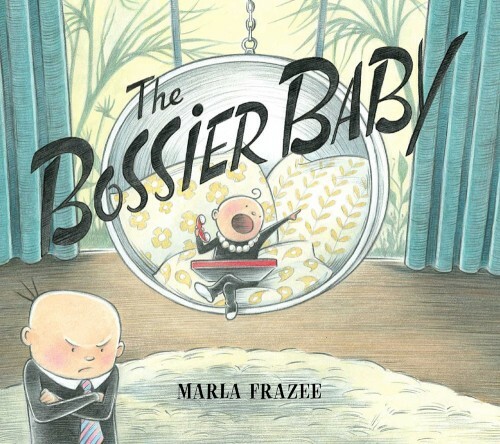 From the Picture Book group: The Bossier Baby. Author Marla Frazee builds on the success of The Boss Baby in this glass-ceiling-shattering sequel, which sees a newborn CEO displacing the demanding young exec who starred in the previous book. Has a corporate takeover ever been this much fun? 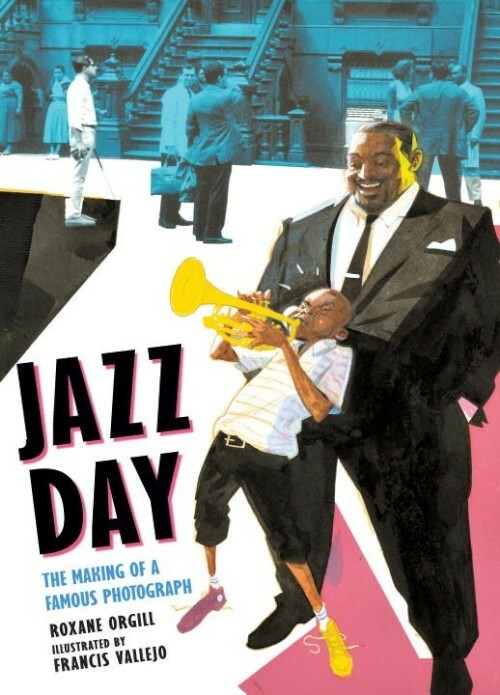 Another Picture Book pick: Jazz Day: The Making of a Famous Photograph. In 21 poems and a series of dynamic portraits, author Roxane Orgill and illustrator Francis Vallejo transport readers to Harlem 1958, when more than 50 jazz musicians—including Count Basie, Thelonius Monk, Mary Lou Williams, and many others—gathered for a one-of-a-kind photograph that serves as testament to their enduring talent and influence. 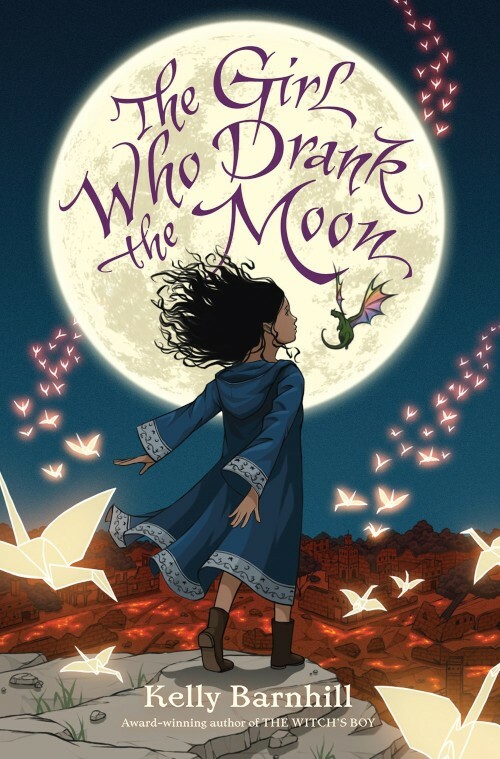 At the Middle Grade level: The Girl Who Drank the Moon. Truth and sacrifice are elegantly woven throughout Kelly Barnhill's rich and multilayered fantasy, in which a girl named Luna, "enmagicked" as a baby, unlocks her community's secrets with help from a dragon, swamp creature, and other memorable characters. 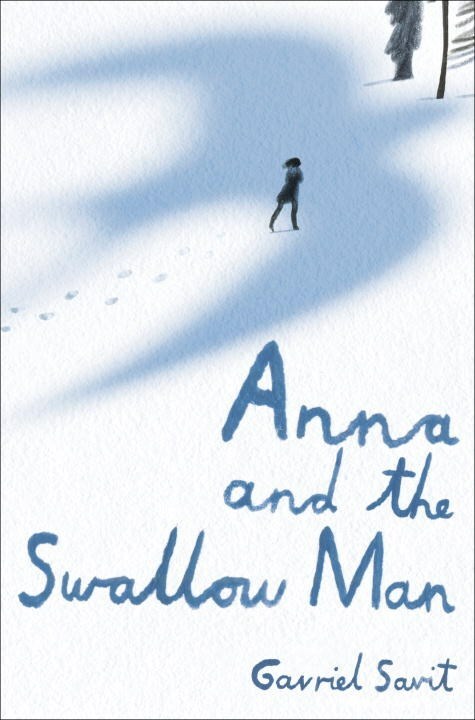 And at the Young Adult level: Anna and the Swallow Man. Set during WWII, Gavriel Savit's debut novel leaves an indelible mark. In it, he follows a girl named Anna and an enigmatic stranger she calls the Swallow Man across the European countryside as they attempt to stay safe in a deeply threatening environment. 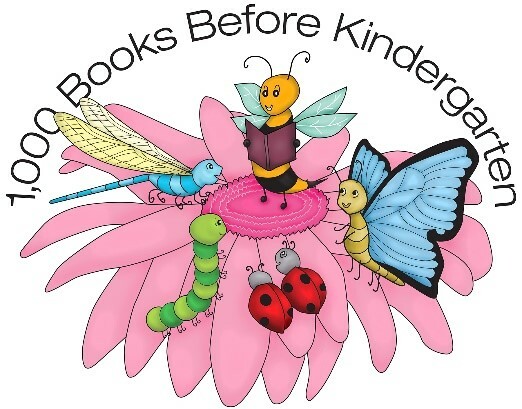 1,000 Books Before Kindergarten -- a national pre-school program -- at many area library systems! The 1,000 Books Before Kindergarten Program is designed to help caregivers prepare children for one of life’s big milestones: Kindergarten. Studies have shown that families who start reading aloud to their children at birth help strengthen their language skills and build their vocabulary. Learn more about local library 1,000 Book Programs by clicking the library links above. 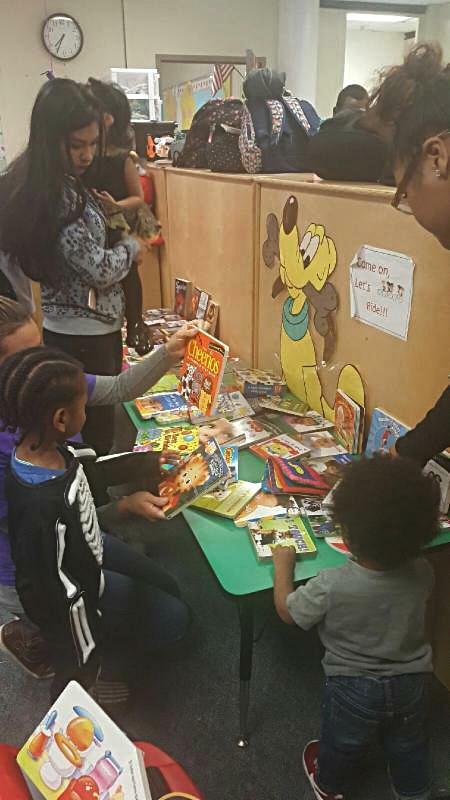 RIF of NOVA Book Distributions so far this fall have brought fun for everyone! 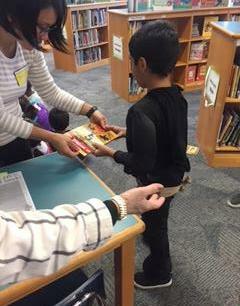 Patrick Henry Elementary School in Alexandria held a RIF of NOVA book distribution on October 28. 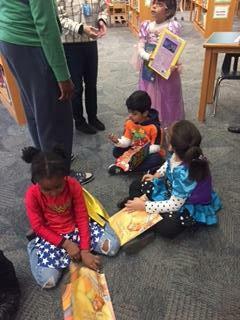 Children dressed up as a favorite storybook character and loved picking out storybook character books! The Arlington Public Schools' Family Education Center held a RIF of NOVA book distribution for its teen parenting program. 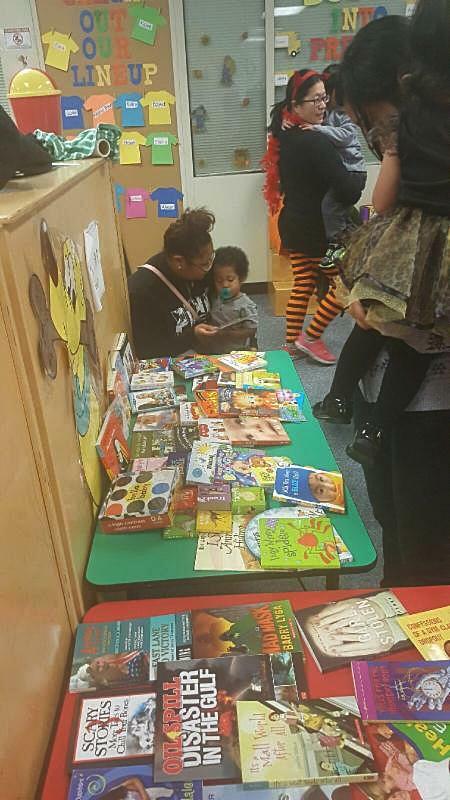 Young moms were able to choose books for their children at this very popular event! 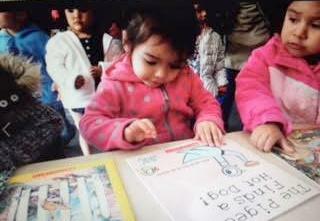 The ACCA Child Development Center in Annandale also held a RIF of NOVA book distribution. Teachers, staff, parents, grandparents, and children enacted the story from the book "Big Pumpkin" by Erica Silverman. Then it was time to pick books. Hmmmmm. So many choices! 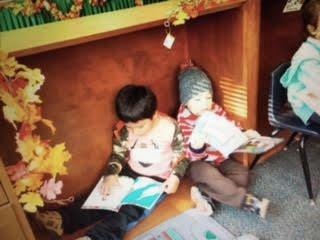 And once the book selections were made, the children settled into every nook, cranny, and cupboard for some fun reading time! 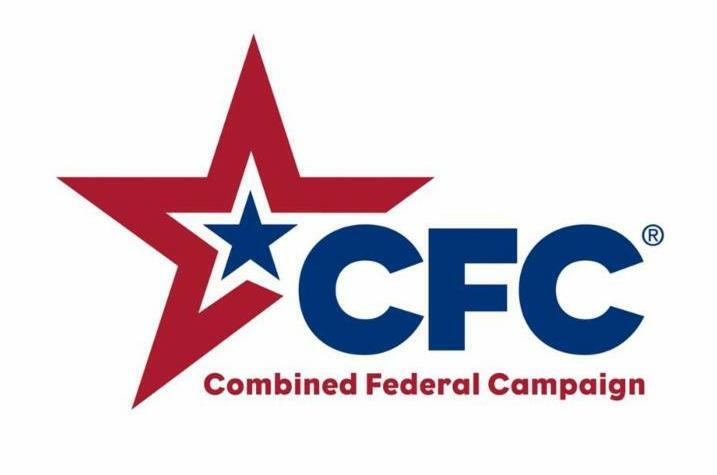 ...please consider giving to RIF of NOVA via the Combined Federal Campaign, the official workplace giving campaign of the Federal government. The campaign runs through December 15, 2016. Learn more here! Reading is Fundamental of Northern Virginia, Inc. can be found at this link: https://cfctoday.org/who-is-in-the-campaign. Type us in by name or by our number # 18818. ...at smile.amazon.com and type in Reading Is Fundamental of Northern Virginia, Inc. to select us as the charity you want to support. Amazon will donate 0.5% of your eligible purchases to RIF of NOVA. ...Shop Online And Help is a coupon site that raises funds for non-profits. A percentage of your purchase is donated WITHOUT the need to register or download unwanted software...it's EASY. 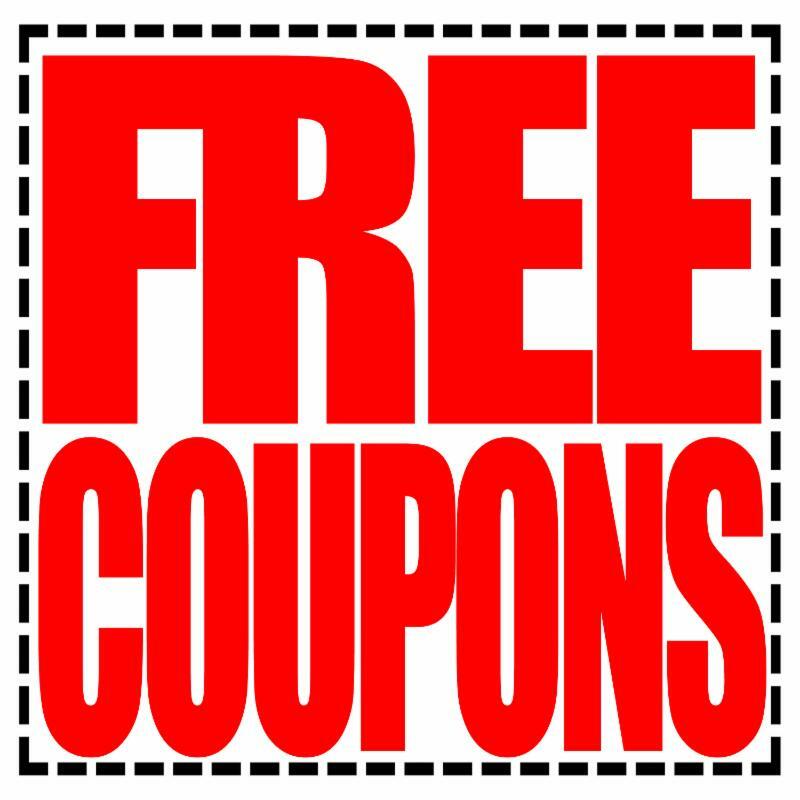 Simply go to: http://shoponlineandhelp.com/rif-nova/, select a merchant, select a coupon, then shop normally. The average donation amount is between 1% and 15% on qualified items. The list of vendors is amazing -- from Aeropostale to Best Buy to Safeway to Walmart! The United Way campaign is going on now! Our number is 8959, and RIF of NOVA is listed in the printed list of United Way of the National Capital Area member groups!! !